Peavey 6505 vs Bugera 6262 – Which is better? When it comes to rocking it out on stage or in the studio, you need a reliable amplifier that can provide that big tube tone. 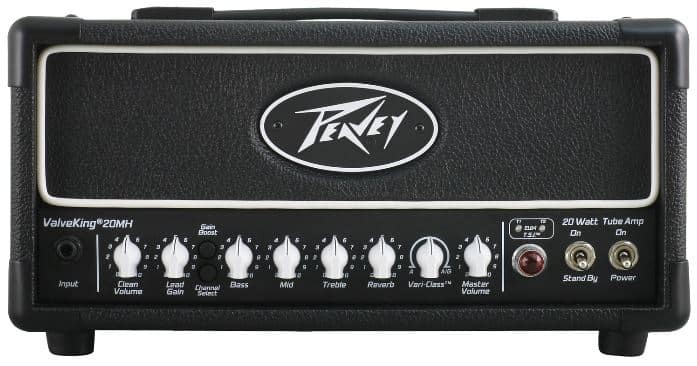 In this regard, Peavey’s ValveKing II Micro-head seems to be on everyone’s lips. Boasting top-of-the-line features such: as a switchable 20W/5W/1W power output, three 12AX7 tubes, pair of EL84 power tubes, and a USB recording output. The Peavey Valve King II micro may be what you’ve been looking for. NAMM 2011 — Peavey Electronics proudly announces the Xport, a high fidelity, ultra-portable 1/4″ jack-to-USB audio interface for electric guitar and bass. Xport uses a standard USB cable to connect your guitar to a personal computer or laptop. The Xport’s high-quality ASIO and Core Audio drivers offer rock-solid performance for both Windows and Mac OS X. Powered by the USB bus and featuring both Headphone and Line outputs, the Xport provides musicians with a simple, hassle-free digital recording solution.